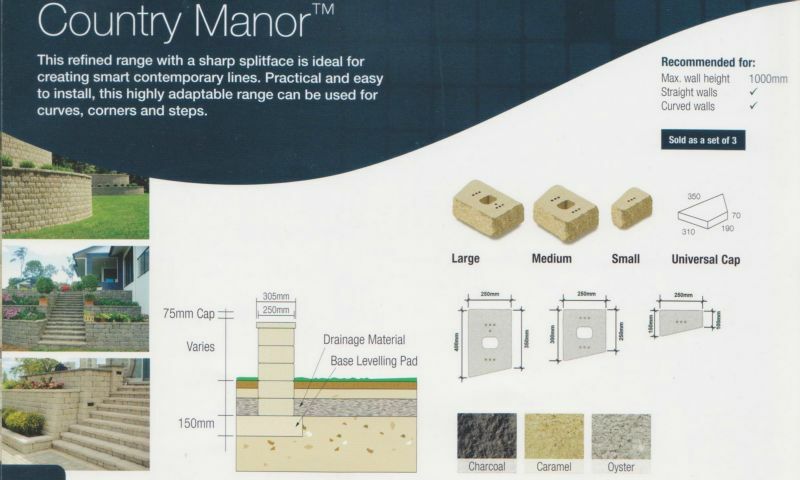 Keppel Coast Paving and Keppel Coast Big Wall Builders use many of National Masonary's great paving and wall products. 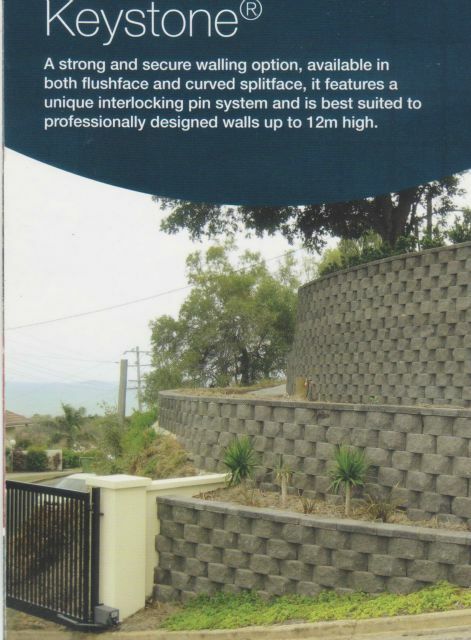 Duwayne is proud to see his retaining wall work displayed in the National Masonry product guide for North Queensland. 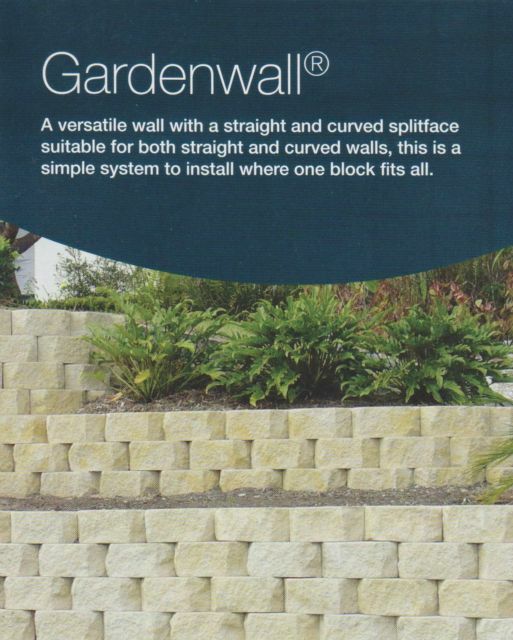 It is a Keystone product, strong and secure walling option, available in both flushface and curved splitface. It features a unique interlocking pin system and is best suited to professionally designed walls up to 12m high. 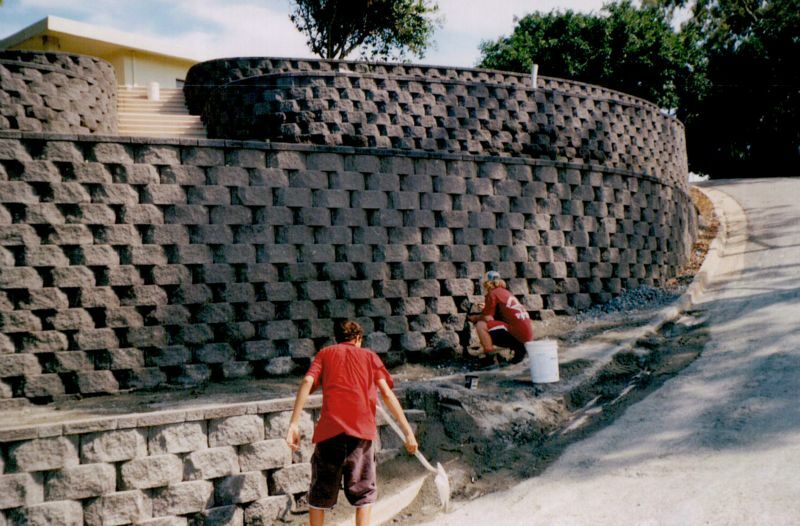 Keppel Coast Big Wall Builders using a Keystone product on an interlocking pin system in Yeppoon. Keystone is available in Charcoal, Mocha, Rustic Brown and Caramel colours. Duwayne and his team are proud to have their project featured in the National Masonry Product Guide. The National Masonry range of paving caters to every design scheme, and will give your outdoor area the stylish, individual touch it has been waiting for. Whether you are after a complete revamp to create a more contemporary space or going back to basics with a more traditional feel, National Masonry's range will inspire and stimulate ideas to make your outdoor design a dream reality. Duwayne and his team at Keppel Coast Paving and Keppel Coast Big Wall Builders will build you exactly what you want for your next project and make you proud of your home.